"We would like to extend our condolences to your family. Ben was a great inspiration to our community and left a lasting mark in the small town of Williamston, Michigan. He was a great contributor to our community action groups, never forgotten and greatly missed." "Sorrow for loss of another hero. A shame the Japanese Americans were treated that way. To get flier status when he must have undergone much discrimination speaks to the kind of man he must have been. My father served in European theater. I am sorry for your loss & loss of a hero"
"My condolences to your family. may you find comfort in God promise at John 5:28,29 during this time of grief." Replaced with tears and sorrow. If a man should die, can he live again? He will call; The dead will answer. They shall live at his command. For the work of his own hand. For our God can make us stand. As the work of his own hand. From death he will awaken. "So sorry to read about the loss of your loved one. God cares so deeply about us that he has gone to great lengths to make the fulfillment of his purpose a certainty. (John 3:16). One of his promises is no more death. Another of his promises is that those in his memory will be brought back to life. May these facts bring you some comfort." 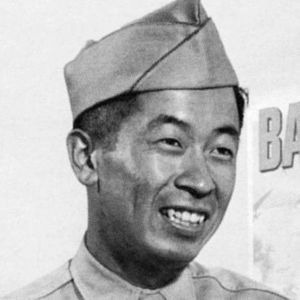 "Ben was a true AMERICAN hero of Japanese decent. What an amazing story of a courageous man. May he rest in peace, my condolences to his family and friends. Suzanne Compton ATL, GA"